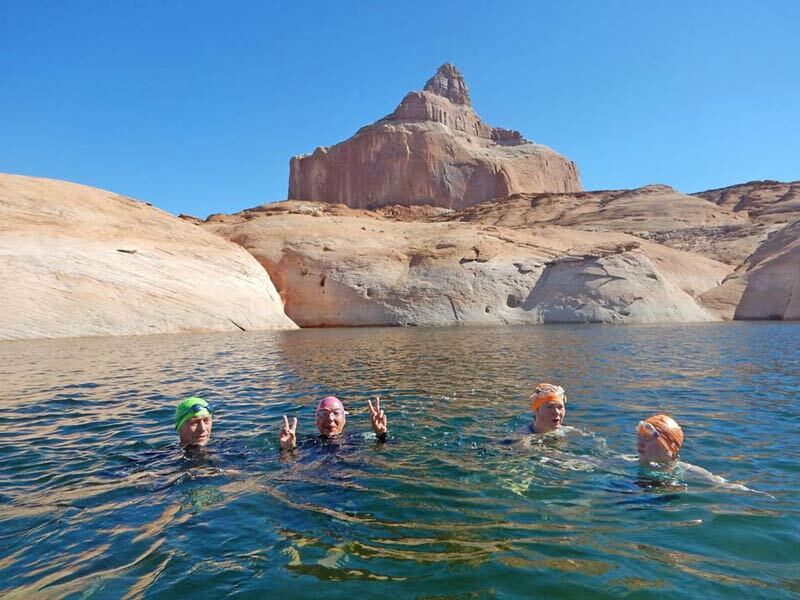 We host many swimmers every year and preferring salt or freshwater swimming is a common topic of conversation. 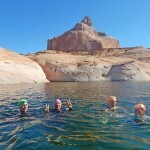 Our guests join us from all over the world and it is often fun to learn where they swim at home. Many of our Australian friends who swim in the sea at home are strong swimmers because they are used to choppier waters and swimming through surf. Dangerous sea life in Australia is also a concern for some, so joining us for a trip in the Mediterranean allows them to relax and focus on the swims. 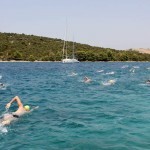 We had a guest join us from Tahiti to swim and experience Croatian island life. She loved our trip, even though her home is a renowned island paradise. We have many guests from the US as Masters swimming is very popular there, so many will be training regularly in pools or outdoors for fitness with a goal in mind. We also have guests every year from South Africa who are often fearless and are used to swimming in colder, choppier seas with big fish. As well as guests from these ‘far flung’ places, we also have Europeans who swim all year round in cold water, some of our Irish guests look forward to a summer high of 13oC in the Irish sea. We have Swiss, German, French and other nationals from all over Europe, so it is amazing to make friends with people from all over the globe. 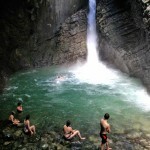 Many people find that they enjoy swimming in salt water, even if they are more used to pool swimming. 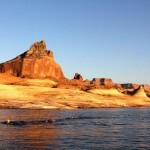 Swimming in salt water gives us extra buoyancy that fresh water does not. For many people, the extra buoyancy makes their body position higher in the water and helps with streamlining. 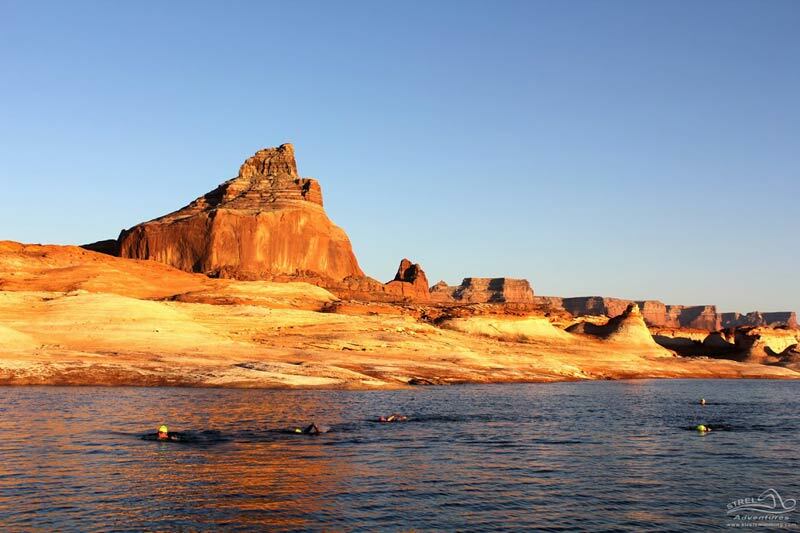 If you have less drag your stroke is more efficient so this often makes swimming in salt water feel much easier than fresh water. 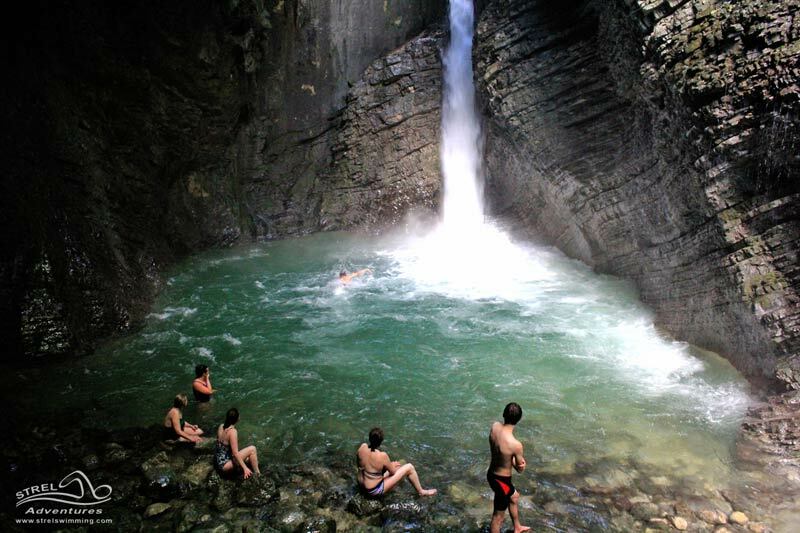 However, for some people, swimming in fresh water is the ultimate experience. 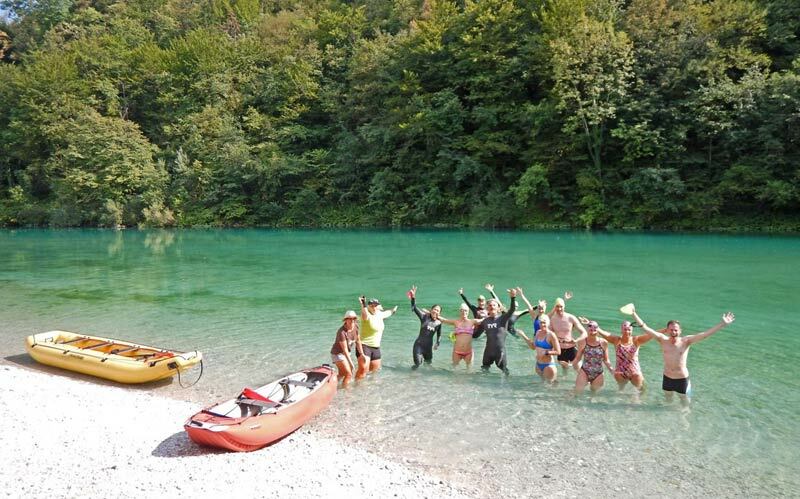 Our Slovenian Lakes and River swimming trip is in extremely clean lakes fed by alpine streams. Only electric boats are allowed on the lakes, so no harmful emissions or fuel leak into the water. 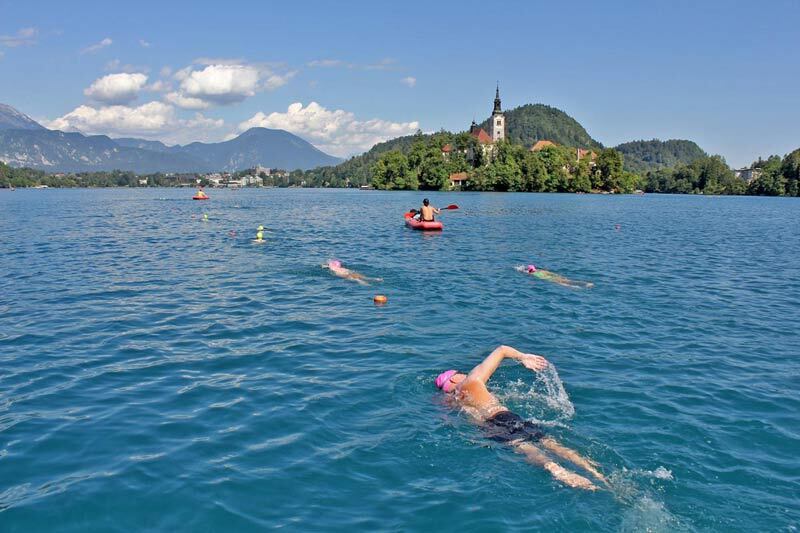 People use human power to get around on the lakes which protect the environment. 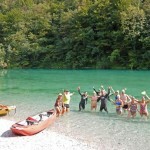 Many people like our Slovenian fresh water trip because it feels so pure and cleansing being immersed in nature. You are less likely to experience chaffing from swimming in fresh water than salt water, though chaffing can be prevented with a lubricant. 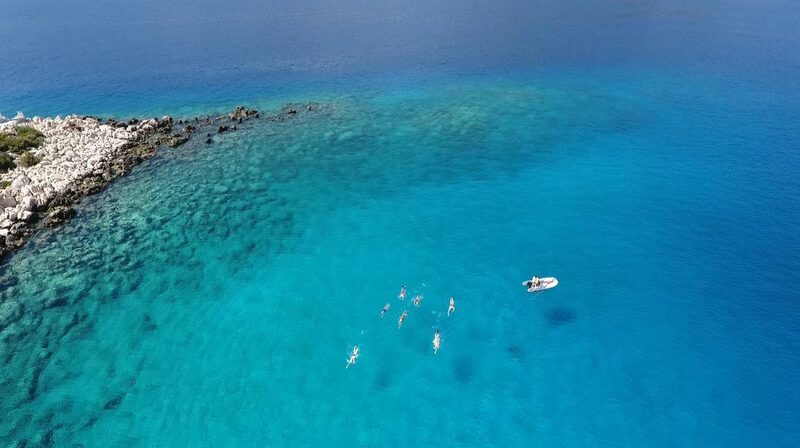 Come and swim with us and join our Strel Swimming Holidays club. 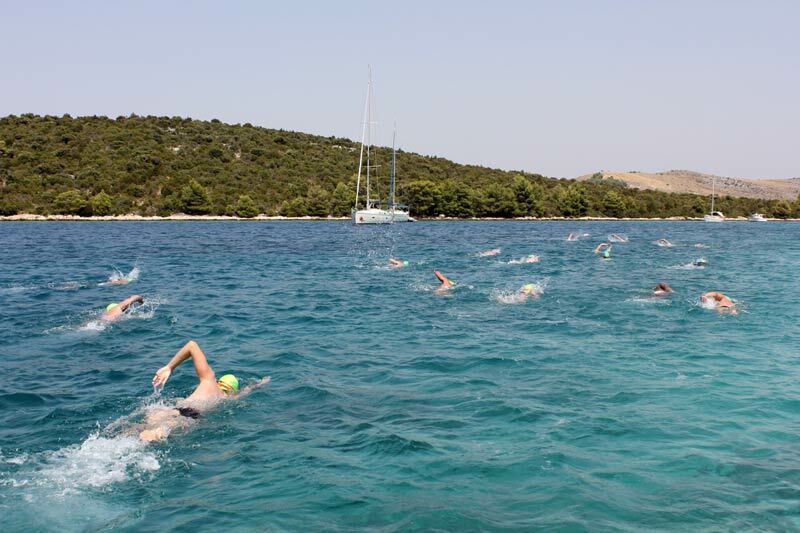 We offer several Lake Swimming and Sea Swimming Trips in the Mediterranean and in the USA.